Shipped fast, packaged well. Sturdy well made product. I would highly recommend. I am using with a copper sink and it is stunning. Color is true to picture - actually better than I expected. Thick strainer, will last. Engineered with best of breed o-ring construction to provide for the effortless use and sturdy design. 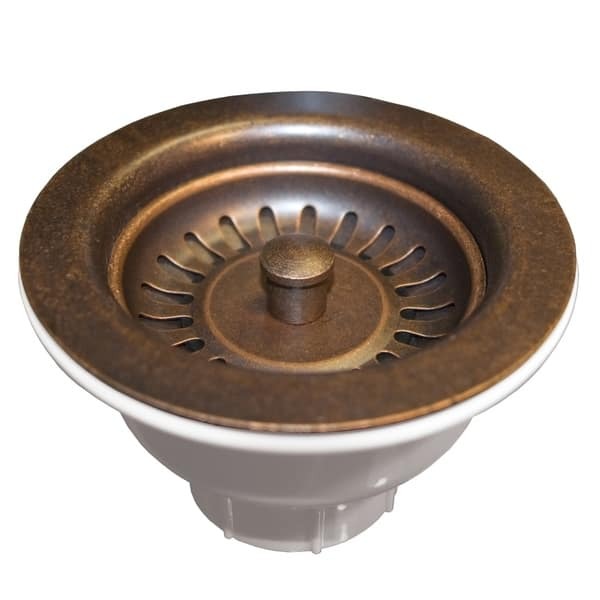 The 3.5" strainer available in durable finishes that perfectly coordinate with your kitchen sinks, bar sinks, and prep sinks. Dimensions 3.0 In. X 5.0 In. Color and fit were perfect to match my copper sink. This strainer is a slightly different color than the sink it pairs with. It works but could be better-looking if it matched more closely. Not sure what other options there are tho!